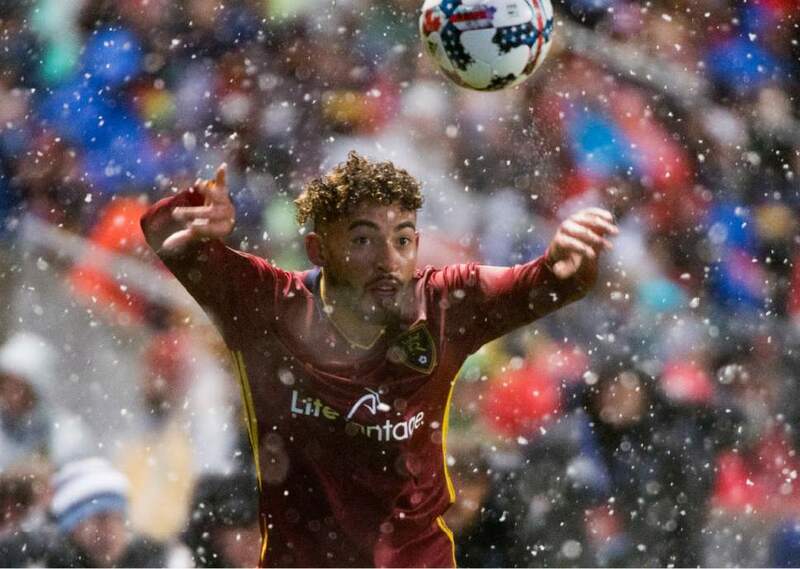 Rick Egan | The Salt Lake Tribune Midfielder Danilo Acosta (25) tosses the ball inbounds for Real Salt Lake, in MLS action, at Rio Tinto Stadium, Saturday, April 8, 2017. 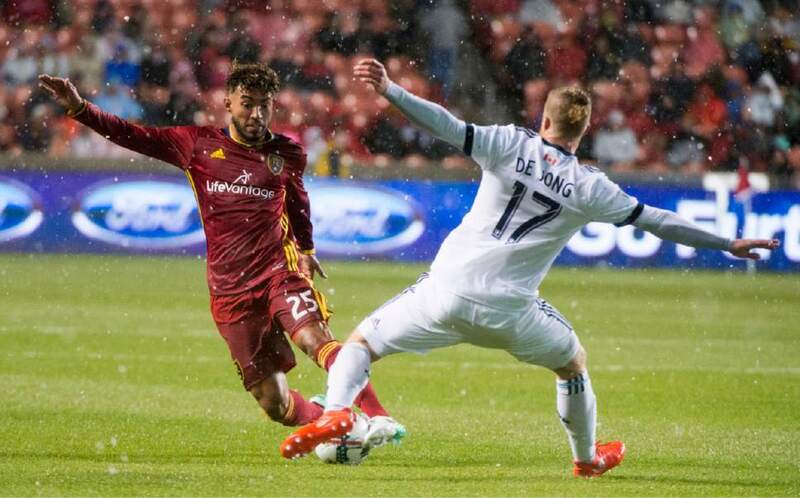 Rick Egan | The Salt Lake Tribune Real Salt Lake midfielder Sebastian Saucedo (23) kicks the ball, as Vancouver Whitecaps defender Marcel de Jong (17) defends, in RSL action at Rio Tinto Stadium, Saturday, April 8, 2017. 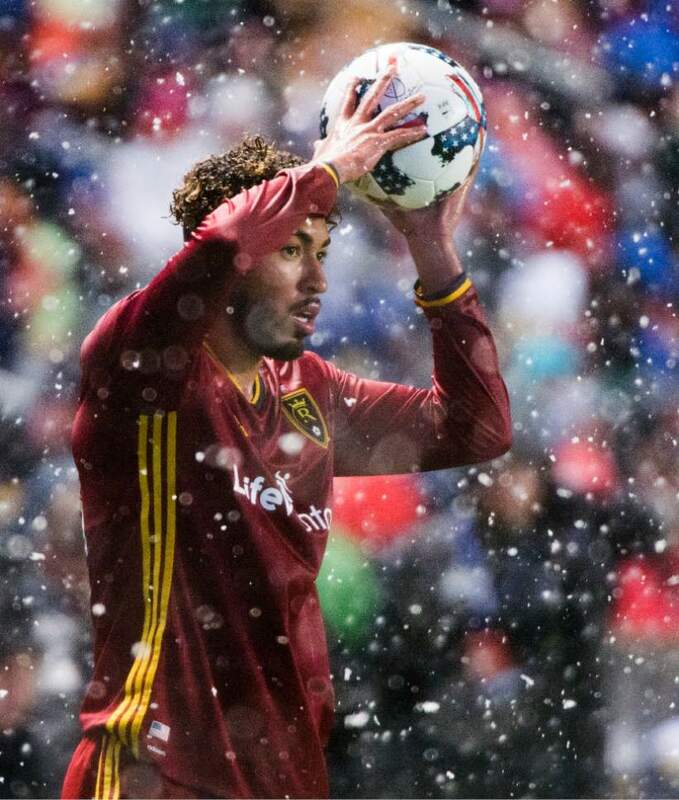 Rick Egan | The Salt Lake Tribune Midfielder Danilo Acosta (25) tosses the ball inbounds for Real Salt Lake, in MLS action, at Rio Tinto Stadium, Saturday, April 8, 2017. Rick Egan | The Salt Lake Tribune Midfielder Danilo Acosta (25) tosses the ball inbounds for Real Salt Lake, in MLS action, at Rio Tinto Stadium, Saturday, April 8, 2017. Rick Egan | The Salt Lake Tribune Real Salt Lake midfielder Danilo Acosta (25) tries to get the ball past Vancouver defender,Nicolas Mezquida (11), in MLS action, at Rio Tinto Stadium, Saturday, April 8, 2017. 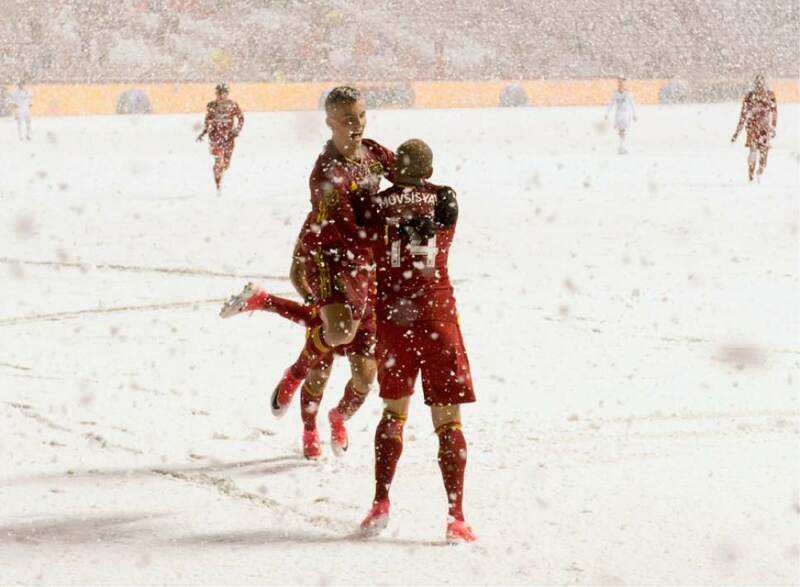 Rick Egan | The Salt Lake Tribune Real Salt Lake plays Vancouver Whitecaps, in RSL action at Rio Tinto Stadium, Saturday, April 8, 2017. Rick Egan | The Salt Lake Tribune Real Salt Lake defender Chris Schuler (28) celerates a score by Luke Mulholland (19), in RSL action at Rio Tinto Stadium, Saturday, April 8, 2017. 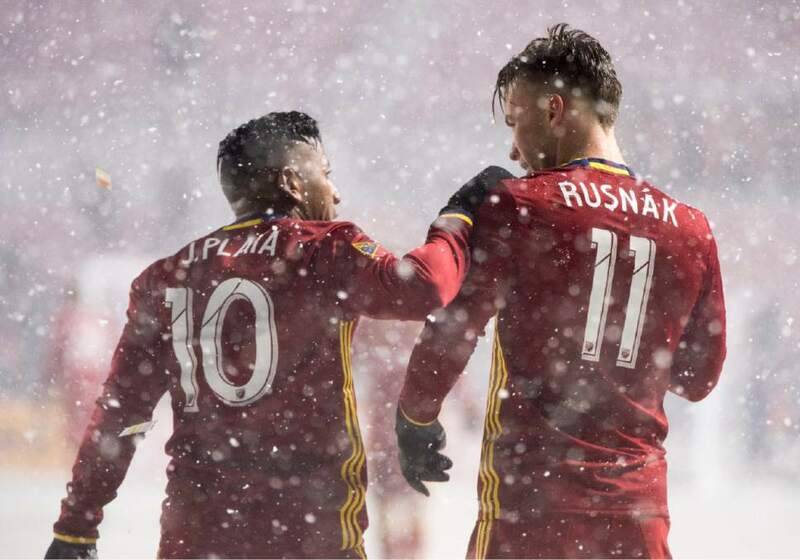 Rick Egan | The Salt Lake Tribune Real Salt Lake midfielder Albert Rusnak (11) gets s hug from Real Salt Lake forward Joao Plata (10) after he scored a second period goal, in RSL action at Rio Tinto Stadium, Saturday, April 8, 2017. 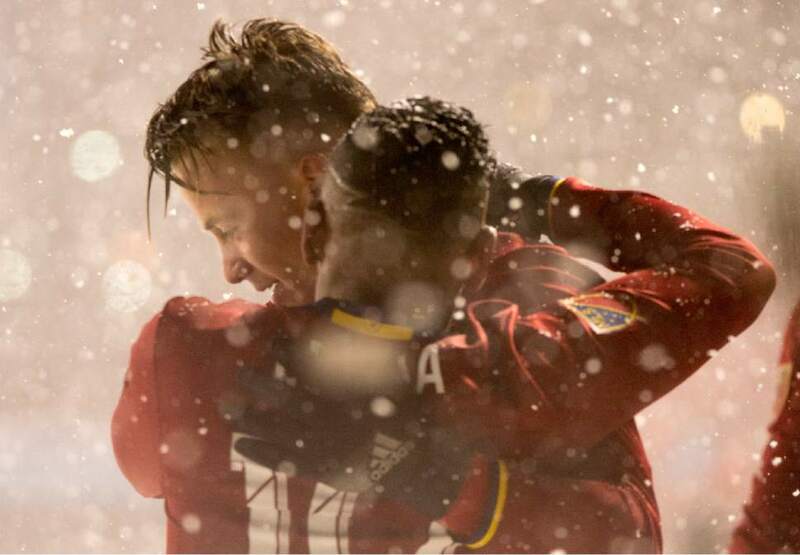 Rick Egan | The Salt Lake Tribune Real Salt Lake midfielder Albert Rusnak (11) gets s hug from Real Salt Lake forward Joao Plata (10) after he scored a second period goal, in RSL action at Rio Tinto Stadium, Saturday, April 8, 2017. 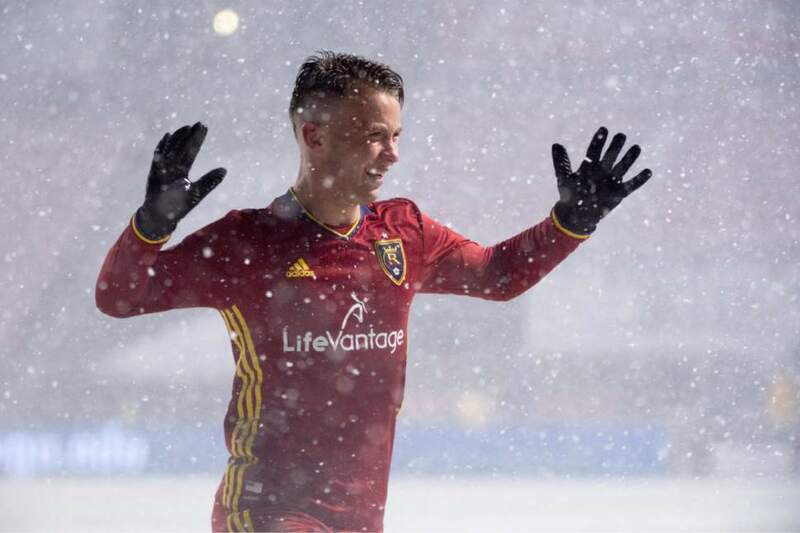 Rick Egan | The Salt Lake Tribune Real Salt Lake midfielder Albert Rusnak (11) celebrates his second period goal, in RSL action at Rio Tinto Stadium, Saturday, April 8, 2017. 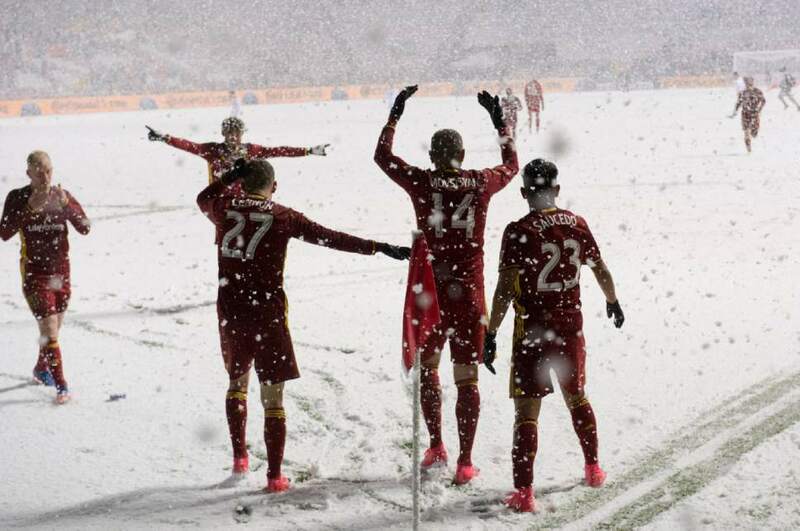 Rick Egan | The Salt Lake Tribune Real Salt Lake celebrates forward Yura Movsisyan's (14) goal, in RSL action at Rio Tinto Stadium, Saturday, April 8, 2017. 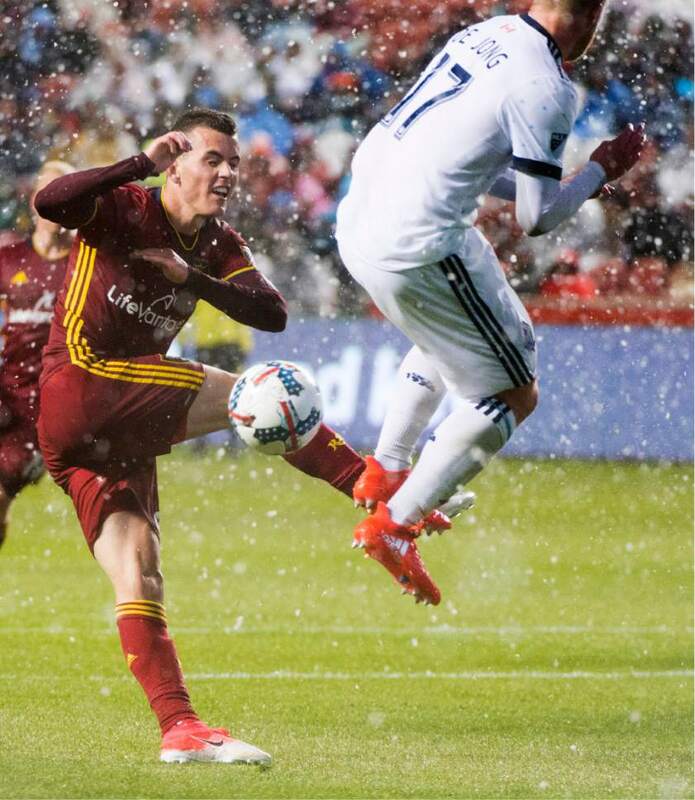 Rick Egan | The Salt Lake Tribune Real Salt Lake forward Brooks Lennon (27) leaps into the arms of forward Yura Movsisyan (14) after Movsisyan scored a goal, in RSL action at Rio Tinto Stadium, Saturday, April 8, 2017. 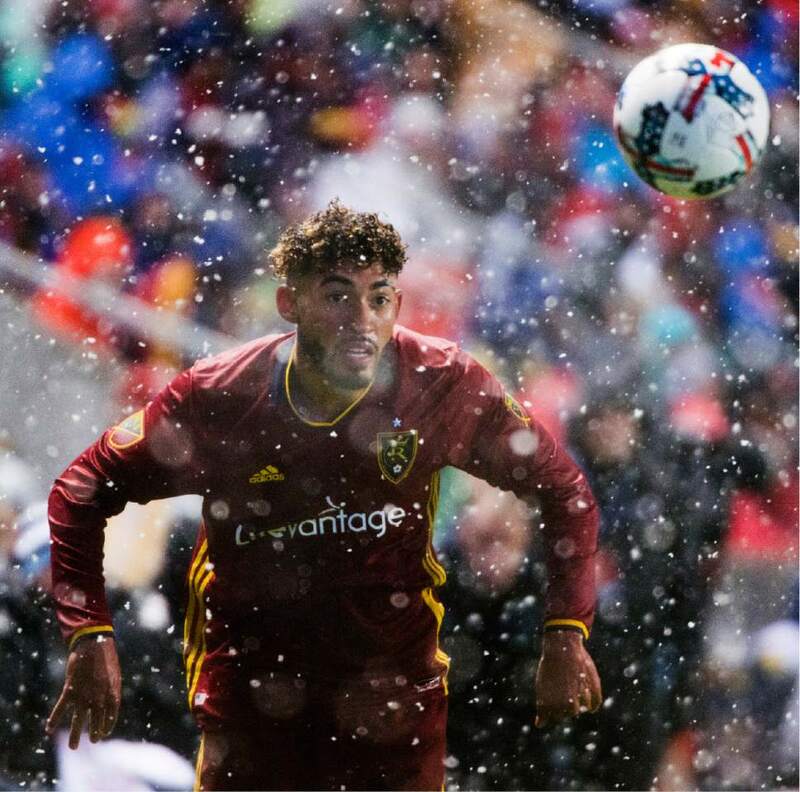 Rick Egan | The Salt Lake Tribune Real Salt Lake forward Yura Movsisyan's (14) scores a goal, in RSL action at Rio Tinto Stadium, Saturday, April 8, 2017. 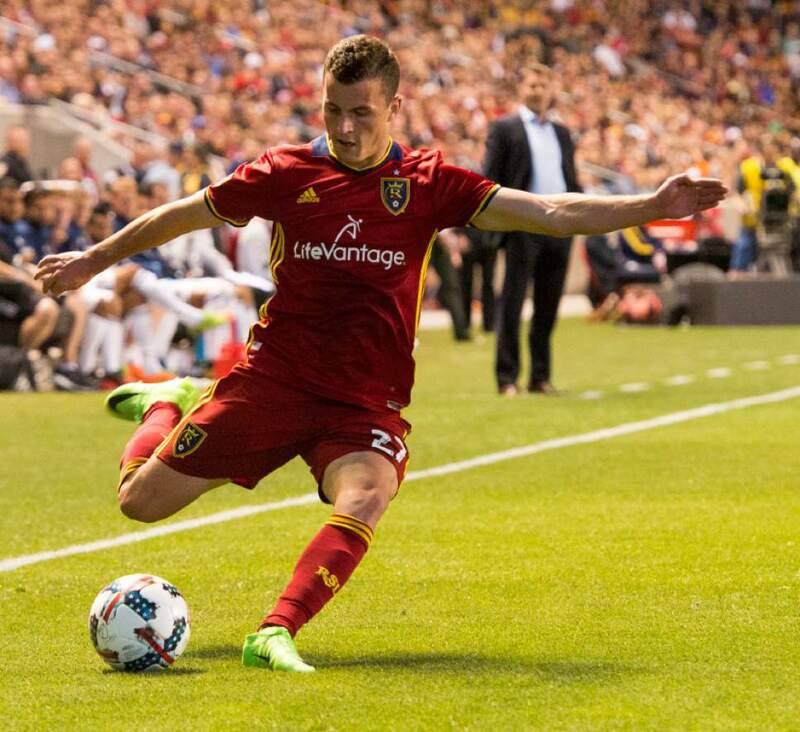 Rick Egan | The Salt Lake Tribune Real Salt Lake forward Brooks Lennon (27) in MLS action Real Salt Lake vs. Los Angeles Galaxy at Rio Tinto Stadium, Saturday, March 18, 2017. 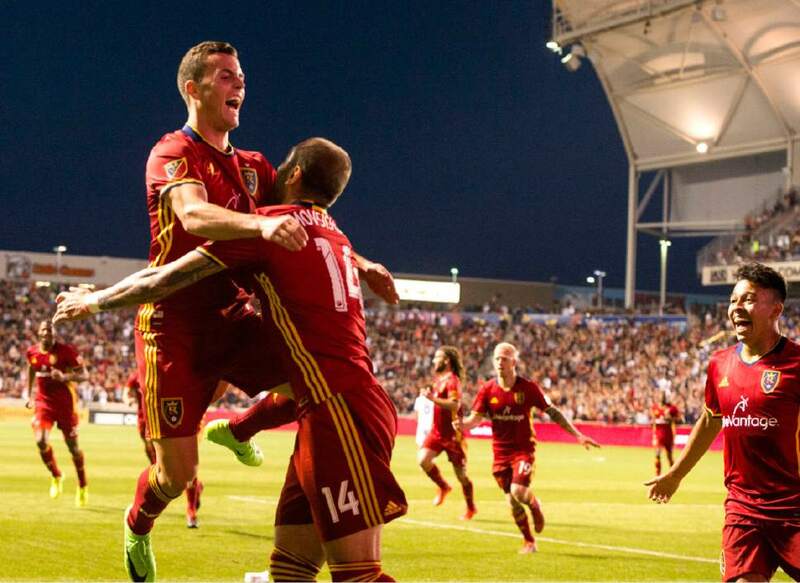 Rick Egan | The Salt Lake Tribune Brooks Lennon (27) celebrates Real forward Yura Movsisyan (14) after Movsisyan scored for Real Salt Lake, in MLS action Real Salt Lake vs. Los Angeles Galaxy at Rio Tinto Stadium, Saturday, March 18, 2017. It&apos;s no secret that Major League Soccer&apos;s national television ratings are not good. Last year, national telecasts averaged 188,000 viewers on Fox Sports 1; 247,000 on UniMas; 308,000 on ESPN/ESPN2; and 696,000 on the Fox broadcast network. MLS trails every other "major" sports league in TV ratings  MLB, NBA, NHL. Distressingly, MLS ratings trail American TV ratings for the English Premiere League. And MLS is so far behind the NFL that they don&apos;t even exist in the same TV universe. The 2016 MLS Cup drew its biggest audience, 1.4 million viewers, but that was just 1.2 percent of the 111.4 million who watched the Super Bowl. Geez, the meaningless Pro Bowl was seen by five times as many viewers as MLS Cup. The Powers That Be at Major League Soccer are concerned about this, of course. 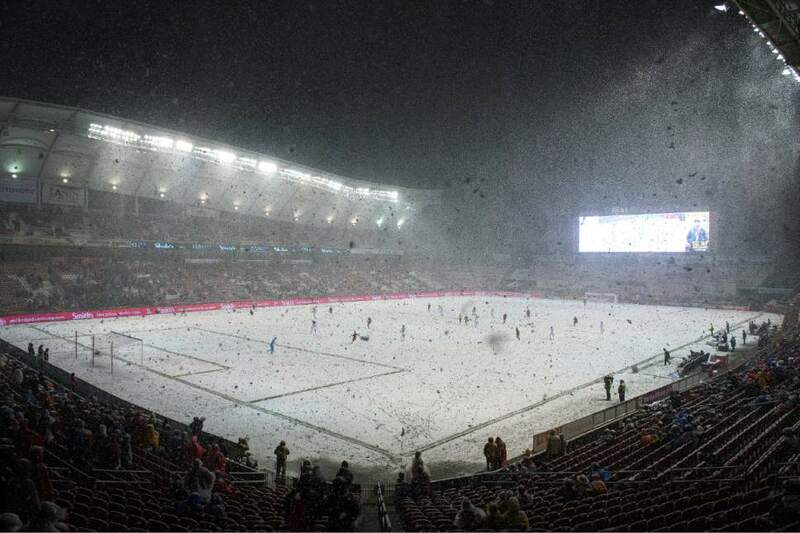 And it affects Real Salt Lake as well as the other 21 teams in the league because they all share in national TV money. 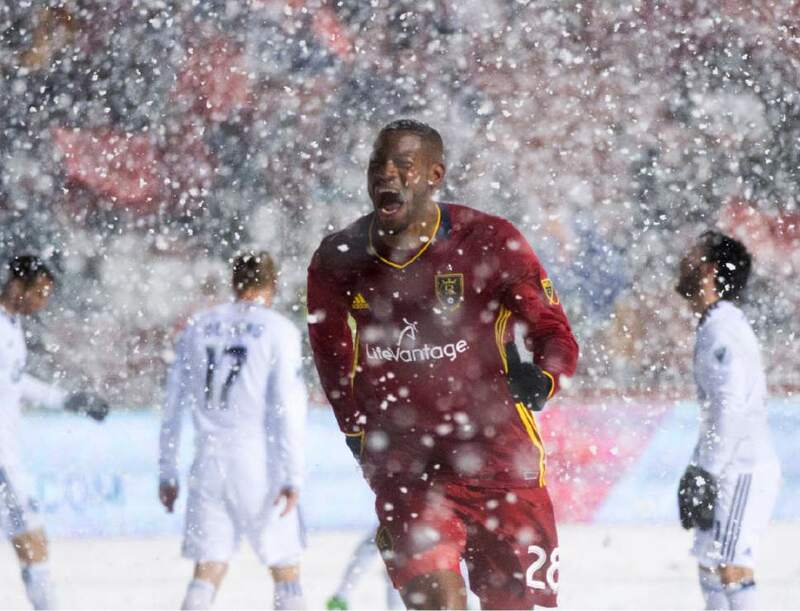 By the way, RSL&apos;s local ratings on KMYU are down a bit this season, which is to be expected. TV ratings in every sport tend to go up when the team is good and down when it&apos;s not. RSL is 3-8-2 and in 10th place in its conference. It&apos;s not a secret that MLS is concerned about ratings. Expansion clearly has been aimed at getting in more TV markets. • Put cameras in the locker rooms before the games. • Allow access to team huddles. • Put microphones on coaches during games. • Increase the number of media "car wash" tours. Full disclosure: I don&apos;t exactly know what a media "car wash" tour is. I&apos;ve asked around. I&apos;ve searched the Internet. Nobody seems certain. It apparently means putting more MLS coaches and players in front of members of the media, hoping more stories will appear in print, on radio and on TV. And that&apos;s the only one of the recommendations that makes the slightest bit of sense because maybe more exposure would get some people to tune in. Maybe. I don&apos;t know what the answer is to MLS&apos; ratings woes. There&apos;s no quick fix. Americans care more about soccer than they once did, and it eventually will surpass hockey. But catching up to baseball, basketball and football is a long way off. MLS doesn&apos;t even have credibility with all soccer fans, who can see it&apos;s not on the level of the EPL, La Liga, Bundesliga and Serie A.
We&apos;ve seen the league improve greatly since RSL debuted in 2005. I don&apos;t claim to be a soccer expert, but you don&apos;t have to be an expert to see that MLS hasn&apos;t achieved parity with European leagues Americans can watch on TV. And I do feel completely confident in saying that putting cameras in locker rooms and team huddles and wiring the coaches for sound is not the answer. Non-MLS fans won&apos;t tune in because of those non-innovative gimmicks. 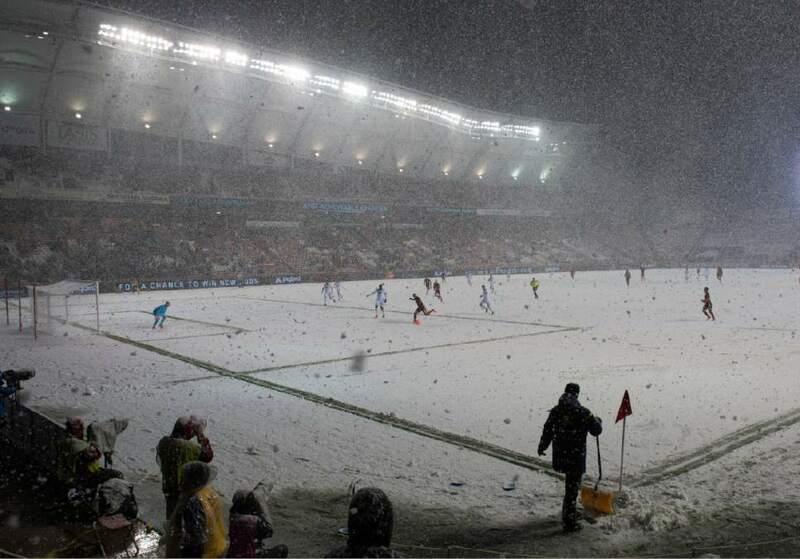 MLS fans won&apos;t care  unless the gimmicks get in the way of actual game coverage. Then fans will be annoyed. Soccer rarely stops for more than a few seconds. And fans hate when the camera focuses on something other than the game. Like a coach on the sideline. That&apos;s something some MLS teams have yet to learn, although that&apos;s rarely true of KMYU&apos;s telecasts, which are among the best in the league. MLS didn&apos;t release any figures on what this 18-month study cost. If it was more than 5 bucks, the league overpaid.